Machine-to-machine communications is already a significant business for mobile operators, and is set to explode when 5G networks go into mass production. And yet, from a cyber-security perspective, IoT devices remain notoriously vulnerable. That’s why many enterprises have yet to make IoT a significant part of their business operations. As a Mobile Communication Service Provider (CSP), you have a huge opportunity to offer Security Value Added Services (VAS) that give your enterprise customers the means to confidently deploy mobile IoT devices at scale. With Allot IoTSecure, you can make that happen. IoTSecure is a multi-tenant platform that enables you to grant each of your enterprise customers a dedicated management console for monitoring and securing their mobile IoT deployments on your network. 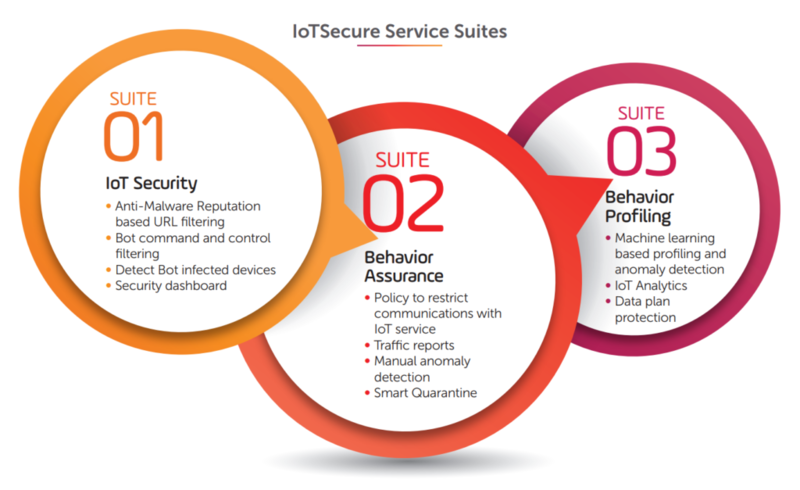 Using IoTSecure, your customers can apply carrier-class IoT Security, Behavior Assurance and Profiling to any of their IoT services. IoTSecure is based on a field proven solution that Tier-1 mobile operators across the globe are successfully using to deliver Security-as-a-Service to their customers. By deploying IoTSecure, your business can generate an extra 15-20% revenue on top of connectivity charges.